The Best Chrome extensions are the most important thing for every Google Chrome user. They need extension most because to do advance things that Google Chrome doesn’t alone provide. These Little Features of Extensions improves the user’s productivity and make them learn and grow. Chrome Extensions have keys for unlocking the Chrome secret doors. So, in this article, I will tell you the Useful Chrome Extension that you must have in your Google Chrome Browser in 2019. When you start using these extensions you will start improving your productivity. So, whatever browser you are using, switch to Chrome because it is Great in all the term. According to me! Opera Browser is Also Great in customization. Check our Opera tricks and Tips guide, if you are Opera browser lover. Now, before getting to those Awesome Chrome Extensions. I like to clarify about Chrome extensions. Like where to get it, how to add it and stuff like that. In order to get Extensions for Chrome, you have to Visit the Chrome Web Store. After, go to the extensions tab. There you can find almost all the extension you are looking for. To find extension specifically, just search the name of the extension in the search bar. And click one of them you want. To explore more Extensions you can look at the Various Extensions categories. Like recent updated, Editor’s pick, Chrome toolkit, expand your social circle, Personalize Chrome, Art & Creativity Extensions, and more. 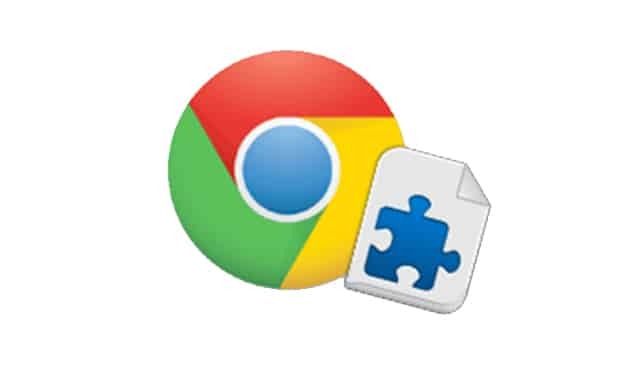 And if you want to find your all installed Chrome extension just visit Chrome Web Store. Log in with your Gmail id. Click on the settings. And then click on my Extension and Apps. You can also explore more Best Extensions through the besides tab of Installed and that is the library. To install chrome extensions in your Chrome Browser, you have to go to its own store. That is the Chrome Web Store. There you can find two tabs, click on the Extension’s one. In that tab, you can found various types of Extensions. 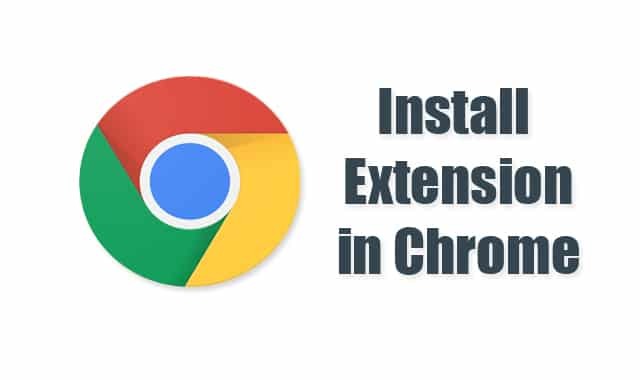 To install the Extension your Google Chrome Browser. Tap on any extension and click on “add to Chrome”. Then it asks you for permission just allow it by tapping on “add the extension”. Just wait for Downloading the package and installing. After installing you will get the message – thanks for installing or Extension is added! To access your Added extension look on besides the Address bar of the Chrome Browser. Now you have been successfully added Extension to your Chrome Browser. Remember: Every Installed extension will be visible in beside the Address bar. In case you find difficult to find it, just look at the top left in the Chrome Browser. So, now let’s see those Best and helpful Chrome Extensions for Google Chrome. Grammarly has amazing spelling solving skill for online writers. It never let you confuse to write spellings. It has a word suggestion feature, Spelling analyzer, and more. Grammarly helped to a lot since I activated it in my Browser. Whenever I write the wrong word or have a spelling mistake, it just underlines it with a red marker. That looks cool too. In order to add it to your Browser, click here. After adding it to your browser it will start showing in your extension area. So, just tap on the icon. Sign up or login if you already have an account and you’re are done. I’m not sure Grammarly available for Firefox Browser or not. So, in case if it is not available for Firefox, you can download and Install the Grammarly Software in your Computer. It automatically starts encountering every spelling mistake and also helps you to write sentences with free of a spelling mistake. You can also select your English language like Canadian, British English, Australian English, American English. Grammarly is the best Chrome extensions for writing free spelling mistake content. If you want more from Grammarly, get its premium version from their site. SEOquake is literally what every Blogger should use. It gives you every statics about web pages indexed in Search engines. Included Keyword difficulty, backlinks, site Ranking (Google, Bing), Web Page age, Alexa Ranking, and More. This SEO extension will help you to know your competitors through reflecting every Database about the Websites. This Extension is especially helpful for those who are Blogger like me. SEO Quake is a free extension but adds value a lot. It is available for Chrome, Firefox, Safari, iPhone, and iPad. SEOquake is also the best chrome extensions for knowing the competitor strategies. To get into your Browser, follow the links below! Official Website for more information. Always get scared of Ads pop-ups? Not anymore! uBlock plus adblocker is here, it blocks every ad that irritates you after visiting it. All the Website owner want to make money from their blog by placing Ads. But they forget about their gold audience that gonna help them to generate money. Most of the Website Owners put as many ads as possible which make the bad user experience. Right? Well, uBlock plus adblocker help you to encounter those scary ads that pop-ups after visiting any site. Got the weapon? I also frustrated by Ads on Sites and here I’m killing them for 2 months. Now I never get pop-up ads due to this adBlocker. There is an extreme benefit of using uBlock plus adblocker! When you enable ad blocker it will start encountering Ads on Site which save your Data too. And you Also get fast Website Surfing. In other words, by just using this ad blocker you will able to open any website 3x faster. uBlock Plus AdBlocker is best chrome extensions for Blocking pop-up ads on sites. Still thinking? Well, its fully free you don’t have to pay to block the ads on sites. Follow the link below to get into your Browser. Also, Learn how to Block ads on YouTube Videos. Forget the Password of your Accounts? Not more in the future! LastPass extension will save your Account Password along with your username, Informations, Bank Details and more. Means all your Passwords in a once safe place! LastPass is a Great extension in today’s world. Because the amount of hacker’s and spammers are increased. So, if you want to be safe in this world start using this Password vault extension. LastPass have many features apart from remembering passwords and details. You can save your Notes, Address, Emergency Access, Security Challenge, Sharing Centre and more. Two features of LastPass I like most is Emergency Access and Security Challange. Emergency Access allows you to add a family member or friend to access your vault. This feature helps you when you forget your Password by accident. Similarly, the Security Challenge helps you to improve your Security passwords. Trust me it is the best vault extension in the market. LastPass is the best chrome extensions for storing passwords and details. To get into your Browser follow the links below! Visit the official site for premium support and more info. Feeling too much data wasting? Use data Saver extension to save your Internet data while surfing or browsing. There is nothing too much to explain about this extension. This data saver extension is powered by Google. It just needs installation and one checkmark, after it automatically starts saving your internet data. So, if you feel your internet exhausting fast, just turn it on. You will able to save 30% of your data that goes waste. Data Saver is a Great and Best Chrome Extensions for saving data during surfing. Can you imagine video recording through the extension? Yes, it is possible and Loom is done it already! Loom provides free screen recorder on Chrome browser online. You can use elements like Mic, Webcam in the recording process. Loom is also available for Windows, Mac, and Chromebook. And it is fully free! You don’t have to pay to register, buy a full version. Just add it into your browser and sign in with your Gmail. That’s it! Loom Video Recorder is best chrome extensions for Recording Screen. Official Loom Video Recorder site. Mailtrack is a great extension for tracking emails. It tracks your every Gmail emails that come and manage them with your command. It basically works with Gmail & Inbox. Mailtrack will improve your Gmail & Inbox experience by applying simplicity. To set it up, first get it into your browser from below. After go to the account section and Log in with your Gmail. That’s it. It is the best chrome extensions for tracking and managing emails. Click&Clean is on the go Cleaner Extension for Chrome. You don’t have to navigate to browser settings for clearing Data’s included Private History, Cache, Browsing data, History, etc. With Click&Clear you can also instantly manage such Chrome features. Like Extensions, Downloads, Incognito, etc. And it has amazing security for Internet Activity. It’s called Privacy test. It basically helps you to prevent others to track your Internet Activity. Privacy test is super helpful to those who do some secret activity on the Internet. I highly recommend you to use this Click&Clear Extension. And you can Call it best chrome extensions. Official Site for more features and information. Sounds crazy! Right? Turn off the light is highly recommended extension by me. Because After leaving the Windows open we see many people(friends and family) around us start looking at the monitor. They secretly gather information about what we do on the computer by looking at it. And that makes our work worthless. They eventually understand our projects and important data plans. Well, not more! Turn off the lights helps you to turn the light off instantly without shutting down the Browser. You only have to click on it and it will paste a Black color over the Browser window. It is also helpful for secret watchers! Get safe right now from adding the extension into your Browser. Turn off the light is YouTube Friendly Now! HTTPS Everywhere allows you to Visit Non-Encrypted Site to Encrypted Site. The encrypted site is safer than Non-Encrypted. This extension is very helpful because it prevents the malware attack by Applying the HTTPS Everywhere. If you do a lot of research on the Internet and with the Chrome browser. I highly recommend you to use this HTTPS Everywhere extension. You can Also block unencrypted Request you feel the particular site is not safe. You probably know chrome warns us when we visit the unencrypted site. This HTTPS Everywhere extension will help your chrome browser to stay strong when you visit such a dangerous site. And yes it is the Best Chrome Extensions! To know More visit the official site. Extensions are Very Useful for those Who want to do beyond Normal in Google Chrome Browser. These Best Chrome Extensions are really helpful for Every Chrome Users. If you not satisfied with decent chrome features. I recommend using my recommended chrome extensions. These are the best-tested Extension pick of 2019! And I’m sure these extensions will Probably Improve your Productivity. So, hope these extensions add some value to your work! Share it with your Friends and let them make adopt these best Chrome Extensions! You can easily add contents link on posts if you are on WordPress. For adding content box I use “Table of contents plus” plugin by Michael Tran. Its free and SEO friendly. © 2018-19 Rogtechs - All Rights Reserved.